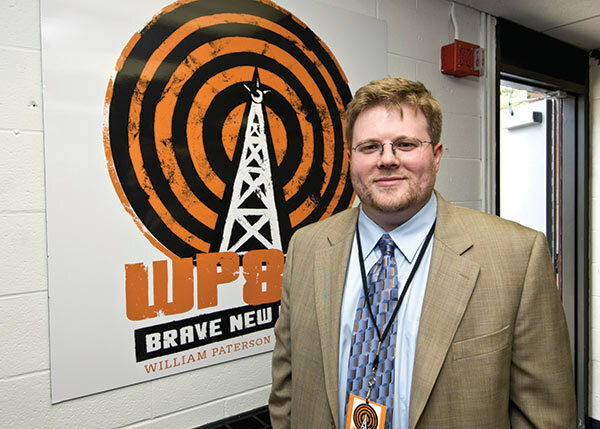 This is the official online home of William Paterson University’s radio station, WPSC 88.7 FM in Wayne, NJ. We are on 24/7 and we are primarily staffed by a mix of passionate students as well as alumni and community volunteers. Everyone involved in this station cares deeply about playing music and offering programming that is not heard anywhere else. In a time where commercial radio programming output is homogenized and rather dull, WP 88.7 FM sees its mission to be brave in what we play and to champion new music by many unsigned and upcoming artists. We take risks because we don’t have to achieve mainstream profitability. The station is also very closely involved with the communication program here at William Paterson University. This means the station is used for classes and students can get credit for their involvement. We have industry-standard equipment that prepares students who want to go on to work in the radio industry. Being on the air is great life experience, and learning to produce radio is also a valuable skill to put on a resume. Creating unique radio and playing rarely heard music is important these days. If we don’t do it, then who will? Who will champion local, unsigned artists? Through our annual Braveathon and through supporting the NJ local music scene all year round, we do our best to expose local talent to our audience. So, I hope you enjoy Brave New Radio. Remember, this radio station is fueled by the sheer passion of its DJs and staff. We hope that you enjoy listening to us, as much as we enjoy broadcasting to you. Que mas mi gente! & hello dear Brave New Radio listener. My name is Sebastian Escobar aka Seabass, the Station Director of Operations. I have been involved with WPSC since 2011 as a student of media broadcasting. I have experience in radio hosting, show production, sound production, and journalism. The mission statement of Brave New Radio has never changed. We play a variety of indendpent music, ranging from Indie Rock, Pop, Dance, Hip-Hop, Electro, Folk, and R&B. On weekends, you will hear the classic hits. We are a staple in the Wayne community and continue to serve as a breeding ground for the future experts of media broadcasting. Please enjoy the site. Listen to all our all day programming and make sure to follow us on our socials! Follow me @UnderdaSeabass for Twitter & sea.vass for Instagram if you so wish.